In recognition of the increasing popularity and hype surrounding the NFL Annual Player Selection Meeting (more commonly known as “The Draft”), league officials announced that, beginning in 2010, the event will start on Thursday night in prime time. The first round of the draft will start at 7:30pm EDT on Thursday, April 22. Rounds two and three will take place on Friday evening, and the final four rounds will begin on Saturday morning. 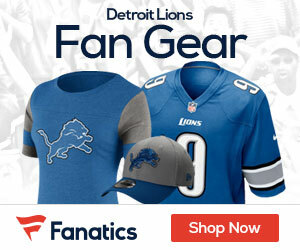 This is excellent news for Lions fans. Aside from a rare appearance in 2008 outside the top ten picks, the Lions have been closer to the center of draft day drama than any other team in recent years (although the Raider nation may contend the point). Throughout the Millen era, the NFL Draft was really the best Lions fans could hope for. It has been our playoffs, championships and Superbowl all in one! Moving it to prime time will make those draft day parties even easier to plan. First of all, by having only the first round take place on day one, you won’t have to put up with your geekier friends who insist on sticking around an extra three hours (long after the chips are gone) to see who the Steelers take with the 64th pick. Second, die-hard fans can now actually take time off work for the high holy days instead of having to waste the better part of a weekend. 1. Rotate the location every year. This would give more fans the chance to attend in person. It would also shield us from having to listen to incessant chants of J-E-T-S Jets Jets Jets! 2. Instead of having Roger Goodell read the selections, have them read by the deep, commanding baritone of James Earl Jones. 3. 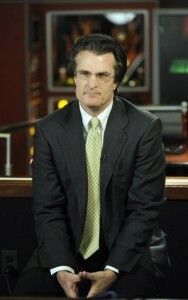 Get Mel Kiper a hairpiece that looks less roadkill-esque. Seriously. Tags: 2010 NFL Draft, Mel Kiper Jr. Seriously, the team with the 1st pick in the draft should host it in their home town. That would make for some great parties. Seriously, they should have the team with the first pick of the draft(as determined by ownership of the pick as of the final standings after the SuperBowl) host the draft.